A design for a 10,000 sq. 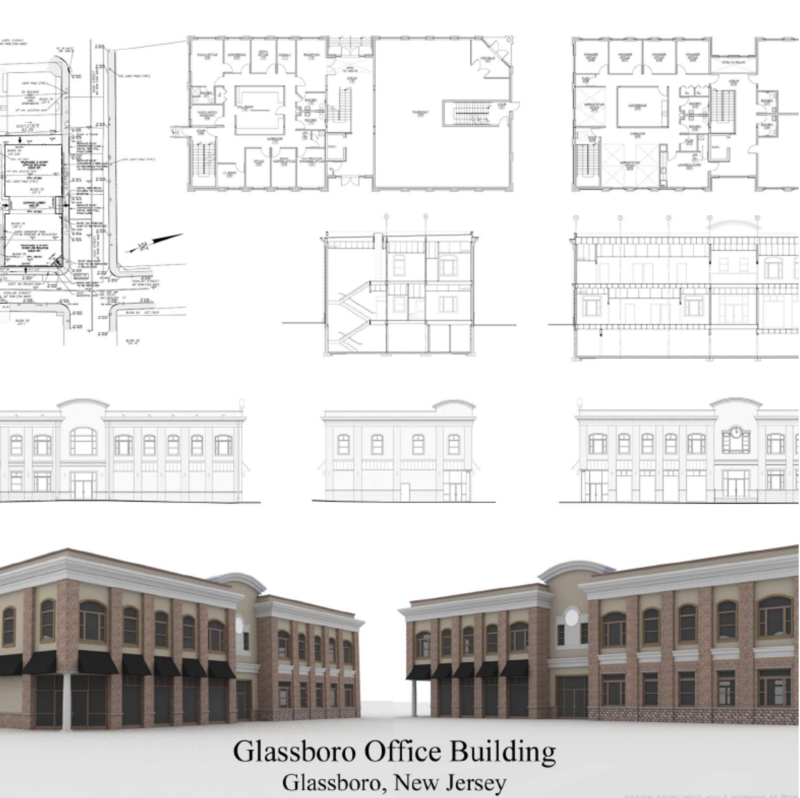 ft. 2-story office building in Glassboro, New Jersey. Design features central double height atrium space, flanked by offices & conference rooms. The façade features a combination of brick, stucco, and a large wood cornice line. The half round window transoms & awnings add visual interest to the overall façade, and break up the vertical rhythm set by the masonry piers. The entrance is defined from the rest of the building by being set back slightly, and breaking the cornice line with a decorative rounded parapet element.